Hi! If you ended up on this page you probably want to know a bit more about the people behind this site. As the website is a side project I work on after-hours I never wanted to put too much focus on myself, and rather let the recipes and articles take the center stage. However due to popular demand you can read a bit more about me and the site origins below. My name is Joanna and I've been living in the UK for the last 12 years. 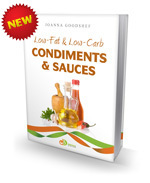 I'm originally from Poland and have discovered the Dukan diet before it was introduced to the English speaking world. My mom gave me the Polish edition of the book for both me and my sister to try. Weight issues have been a bane of my whole family for as long as I can remember. As the lucky "normal" (I never considered myself slim) member of the family it wasn't until my twenties that I've started looking into diets to stop the slowly creeping in kilograms. 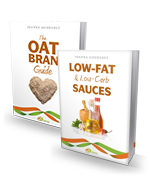 Before I discovered the Dukan diet in 2009 I've only tried one weight loss program - in my early twenties I followed the Optimal Diet for a little while. In some ways similar to the Atkins diet, this was my first encounter with an alternative take on the food pyramid and dispelling some of the myths of the health and fitness industry. A lot stricter than the original Atkins, despite the weight loss success, it proved hard to stick to in the long term. Between my lack of cooking skills, the requirement to know the exact carb/protein/fat proportions of food, and a hectic lifestyle juggling a full-time job with a university degree I fell of the wagon quickly. Moving to the UK and following a successful career as a web developer my weight reached uncomfortable levels. It also didn't help that in the meantime I got diagnosed with PCOS. Having to work twice as hard to just maintain the weight you are at is not something you want to hear when you look far from perfect. As I was nearing 90kg, that's when I read Dr Dukan's book and decided to give dieting another chance. I started the diet in September 2009, a few months after my sister - Katrina Conquista, who ended up being one of the VIDs on the official UK Dukan diet site. As I followed the diet strictly I've lost 10kg by December. But surprisingly weight loss wasn't the only result of undertaking the diet. As it does require a certain amount of cooking effort,I suddenly had to learn how to prepare my own meals from scratch. I've learned to enjoy experimenting with herbs and trying out new vegetables. But the biggest change was a renewed interest in understanding how the fat storage and fat loss work. 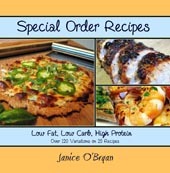 I started reading more and more about not just the Dukan diet, but all the other low carb programs. It can be hard sifting through the hype, fad diets and exaggerations on both sides, but it's worth digging to find interesting arguments and information from the likes of Dr Lustig, Gary Taubes, or Tim Ferriss. I'm not perfect though, and I had plenty of slip ups on my diet journey. When I changed jobs in 2010 I was suddenly faced with a long commute and not much time for cooking at home. But I do keep coming back to protein diets, every time I fall of the wagon. Based on my parents example, who both have lost the weight and more importantly kept it off, I know that's the way for me too. I've started the site with the help of Doug, another Dukan dieter, in November 2009, by which time I had already been doing the diet for a while. I was getting more and more frustrated with the lack of UK specific resources and a good repository of recipes in general, so I started collecting the ones I used myself. The Polish forums I subscribed to had large threads with recipes, however they were not easy to search through, and often contained a mixture of recipes, tips and random chitchat. Also just like the ingredients in my edition of the book were very much focused around French cuisine (and I hate sea food! ), the forums sometimes used specific Polish ingredients that were either not available or hard to get in the UK. As a web developer by profession I've decided to make the site a little side project, where I could experiment while doing something useful. When the site launched the Dukan diet wasn't very well known in the English speaking world. By the time the UK book was released I've managed to grow a decent collection of recipes and tips. Despite the audience growing a lot since I started, the site is still run just by one person - I add recipes (With the help of other contributors! Thanks for all the submissions!) and write articles. I also answer your questions on twitter (@DukanChef), Facebook or via email. I'd like to thank here several people who made the site possible. Doug, who helped start the site together with me and provided the first recipes. My boyfriend Andrew, who always patiently checks all my writing. Katrina Conquista, who provided recipes, articles and some of the illustrations. My mom Anna, who's creative cooking has been an inspiration for many of the recipes and who introduced me to the diet in the first place.